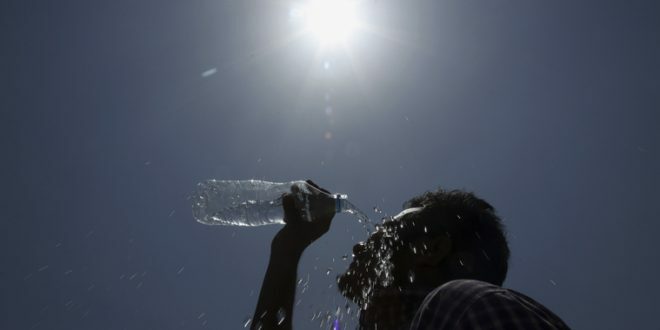 Bhubaneswar: Odisha continued to reel under intense heat wave as eleven places recorded the maximum day temperature above 40 degrees Celsius on Sunday. Titlagarh continued to be the hottest place for the second consecutive day as the Western Odisha town boiled at 43.5 degrees Celsius. Angul recorded 42.7 degrees Celsius, Jharsuguda (41.8), Sambalpur (41.1), Hirakud (40.9), Talcher (42.3), Bhawanipatna (41), Malkangiri (40.6) and Sonepur (41.1). Meanwhile, the Regional Meteorological Centre has issued thunderstorm and lightning warning accompanied by light rainfall in five districts of the state.